Mid-East 30 Inch 11 String Turkish Oud & Gig Bag. Mid-East Turkish Oud Sheesham + Gig Bag OUDRT. 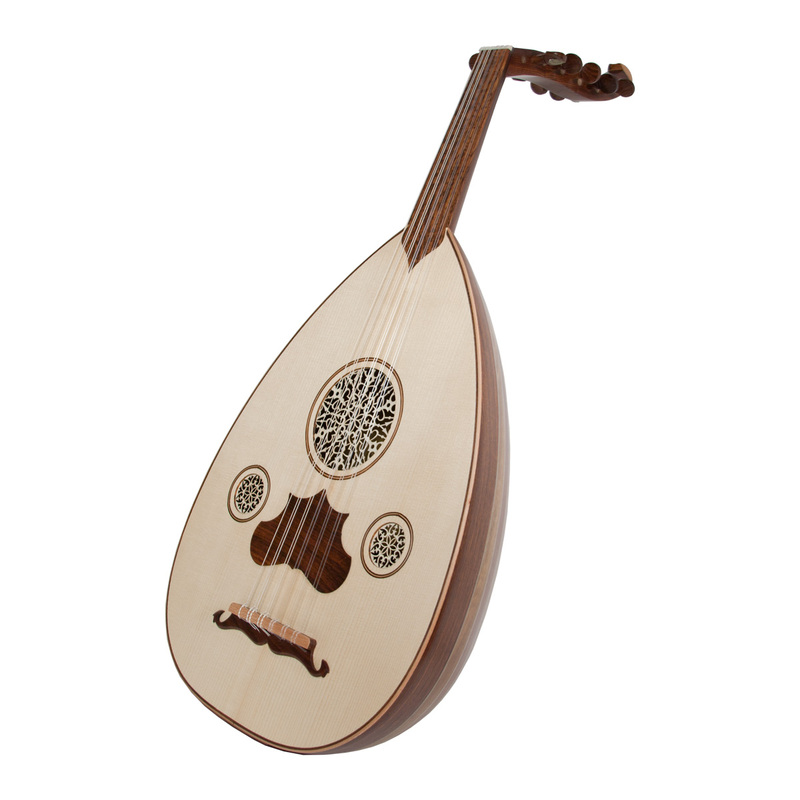 Turkish oud with classic tear-drop shape and bowl bottom. The Turkish oud is played in traditional Turkish and Mediterranean music and is known for producing a powerful, resonating sound. This model features a sheesham wooden body and neck with a beautiful matt finish. Please note: The decorations can vary from those photographed. Soundboard: The sound board is unfinished spruce and has 3 round sound holes with geometric inlay around the holes. Strings: There are 3 courses of 2 strings @ nylon and 2 courses of 2 metal wound; 1 course of 1 metal wound, making a total of 11 strings.